While the exact date might move around from year to year, Easter always manages to feel like the start of spring proper. Almost imperceptibly cakes and desserts begin to become slightly lighter than their winter counterparts, and the desire to eat outside (despite the fact that temperatures have only just crept into double figures) becomes overwhelming. Browse our collection of Easter cake recipes, perfect for gracing the Easter tea table – whether it's on the patio or inside with the heating on full. 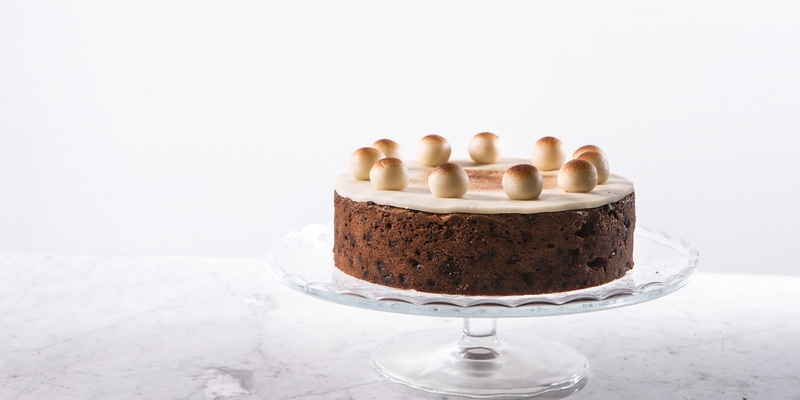 Simnel cake is, of course, the most special of all Easter bakes, and Sally Abe's classic Simnel cake recipe is simple enough for bakers of all abilities. Easter cakes can also be a fantastic way of using up any uneaten chocolate treats lying around the house; Karen Burns Booth's chocolate muffins are topped with chocolate Easter eggs, which are similarly used to decorate Anne Faber's beautiful Red velvet cupcakes.